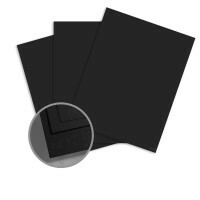 This black cardstock is very nice for my wedding invitations. 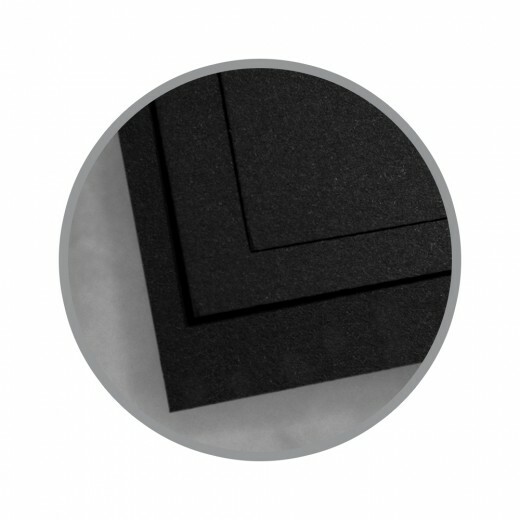 The weight, texture, and color tones of the Colormates line make them my favorite card stock for scrapbooking. the black is rich and deep. These papers cut like a dream on a cricut or silhouette, with crisp cuts and no fibers. Solid core for punching or tearing. Only negative is The Paper Mill Store doesn't sell enough of the product line- give me all the dark, deep, medium, and light of each color you stock!